A staple shirt that has been in our shop for years now and still continues to be one of our best sellers! 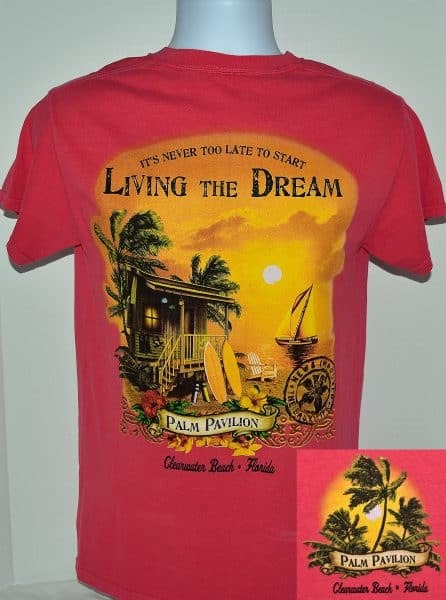 As the saying goes, “It’s never to early to start living the dream.” And what better place to do that than at the Palm Pavilion. 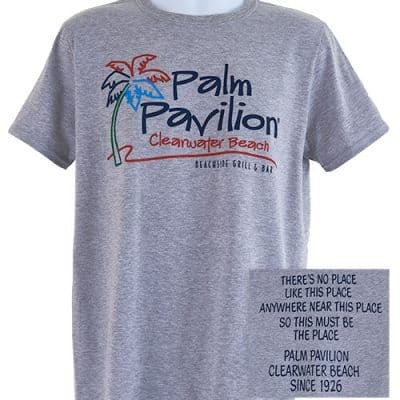 If you can’t get out to the Palm right now, why not have us send this popular piece of the Palm to your door! Need one for the whole family?? Not to worry…we’ve got four different color options to fit everyone’s personality.